Ella from Home Cooking Adventures is in the house to show us how to make her Cheese Potato Pancakes at home. This is a must make recipe and they are just so easy! If you love your Potatoes and who doesn’t, today you will be thrilled with this easy breezy recipe that we are sharing with you. Ella, the beautiful face behind Home Cooking Adventures has a special treat for us. We recently shared her Apple Pie Upside Down Cake with you and now we wanted you to give her Cheese Potato Pancakes a test run. They are a great side or snack. So, before we share Ella’s video tutorial, let’s take a look at what you are going to need to recreate this yummy recipe at home. Ella says that the potatoes are not cooked in advance but grated and squeezed well of any excess liquid. Don’t miss this step as it is the secret to achieving crispy pancakes on the outside. 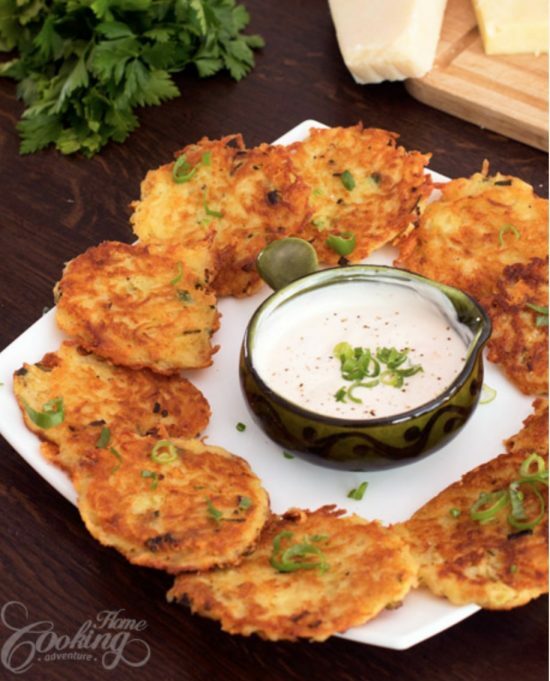 Ella also serves these with a garlic and sour cream dipping sauce. 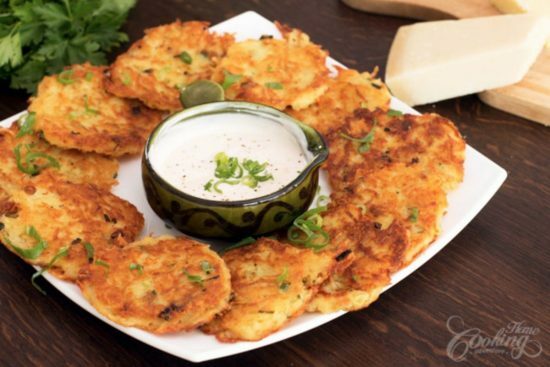 Are you ready to whip up your own Cheese Potato Pancakes? Ella creates stunning, movie like videos that show you the steps. You will be immersed in the cooking process and you can find a full printable recipe on her website.